In our quest for cures, we tend to discount simple, nothing-to-lose nutritional or herbal treatments in the debatable belief that scientifically sophisticated, pharmaceutical approaches have more merit. In fact, as highlighted in the table at the end of the article, many commonly consumed nutritional/herbal supplements have considerable potential to protect neuronal tissue (i.e., neuroprotective) after spinal cord injury - perhaps, as evidence suggests, even as much as current standard-of-care drug treatments. Because of their wide-spread consumption in humans, safety is essentially already established for these supplements; only human efficacy needs to be documented. Unfortunately, there is little financial incentive to undertake the costly testing required for these non-patentable supplements. Joining the list of potential SCI therapeutic possibilities is the amino acid acetyl-L-carnitine (ALC), a supplem ent used for cognitive support and other purposes. 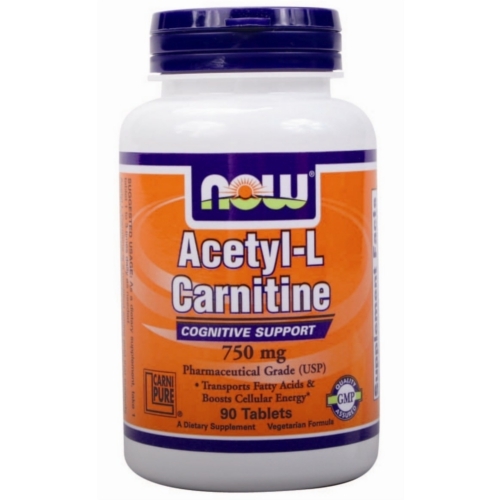 It is a modified form of L-carnitine, a substance abundantly found in red-meat and dairy products and also produced to some degree by the brain, liver and kidneys. Unlike many substances, ALC can pass through the blood-brain barrier and, as such, exert physiological, neuroprotective effects on nervous-system cells. Evidence suggests that ALC may be beneficial for Alzheimer’s disease, stroke and age-related memory/thinking problems, late-life depression, etc. Recent studies also suggest it may minimize neurological damage after SCI. Basically, ALC exerts its neuroprotective effects through enhancing the functioning and viability of all-important cell organelles called mitochondria. Different human cell types can contain from 1 up to 10,000 mitochondria, which power the cells by generating the chemical fuel called adenosine triphosphate (ATP) needed to drive most biochemical processes. So to speak, ATP is the gas that fuels our vehicle. Mitochondria are intriguing, semi-autonomous organelles. For example, they possess their own DNA, which resembles bacterial DNA more than the chromosomal DNA located in the cell nucleus. Interestingly, you inherit mitochondrial DNA entirely from your mother, who, in turn, got hers totally from her mother. Hence, although by and large you are a genetic manifestation of all your ancestors, your mitochondrial DNA has a continuous maternal lineage over the generations. In other words, of all the 1024 theoretical ancestors you had 10 generations ago, your mitochondrial DNA is a reflection of just one. Compared to the massive number of genes possessed by chromosomal DNA, the mitochondrial genome includes only a few genes, but they are critically important ones, encoding for the enzyme complexes that generate the ATP fuel. Because of their key importance, damage to the mitochondria can be devastating to the cell, which unfortunately, is the case for injury-affected neuronal cells. Specifically, mitochondrial dysfunction plays a key role in the neuronal death cascade that magnifies the damage after the initial traumatic insult. 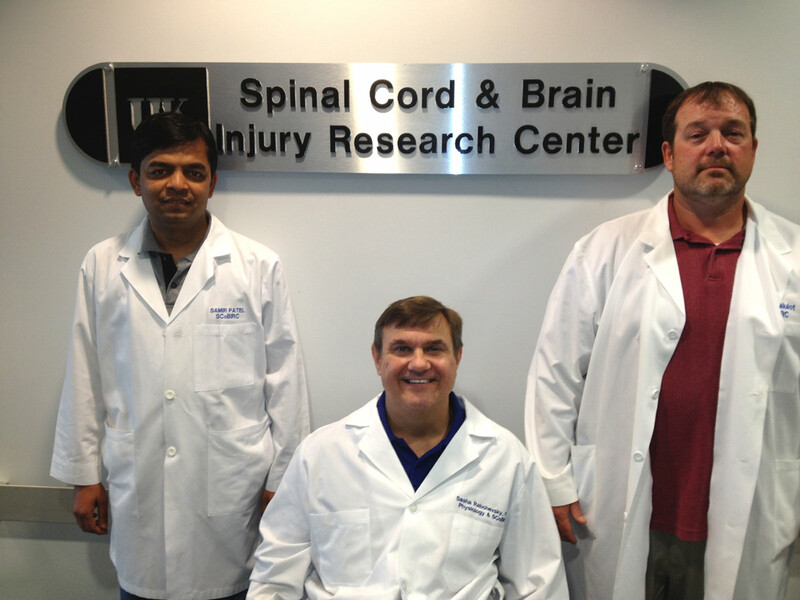 Alexander Rabchevsky, Ph.D. and colleag ues Samir Patel, Ph.D. and Patrick Sullivan, Ph.D. (University of Kentucky) believe maintaining mitochondrial stability and bioenergetics is crucial to promoting cell survival following SCI. They have carried out several animal studies indicating that ALC preserves this stability after SCI by serving as a backup substrate for the ATP-generating process, thereby reducing the potential for post-injury oxidative damage. In 2010, the investigators reported the results of treating contusion-injured rats with ALC several times after injury. After 24 hours, the rats were killed, and the mitochondria from their injured spinal cords isolated. Compared with controls, ALC treatment significantly maintained mitochondrial function. In rats treated for seven days with ALC before being sacrificed, more viable tissue remained around the injury site. In 2012, these researchers extended these studies by evaluating ALC’s influence on preserving hind-limb function in rats with contusion SCI. As before, ALC treatment helped to preserve mitochondrial function after acute injury and lessened the amount of damaged tissue surrounding the injury site. In the recovery-of-function experiments, rats were experimentally injured in the upper lumbar region, an area thought to be critical to generating rhythmic hind-limb movements. Fifteen minutes later they were treated with either ALC or saline (control), a treatment repeated six hours later and daily for 21 days. Compared with the saline controls, ALC-treated rats showed enhanced hind-limb movements as early as seven days after injury. After four weeks, ALC-treated rats were able to functionally walk, while control animals could only slightly move hind-limb joints. These improvements were not documented when the injury was directed to a different spinal-cord location not possessing the critical locomotor neuronal circuitry. By preserving the functioning of the all important mitochondria after injury, ALC treatment lessens spinal-cord tissue damage, in turn, enhancing functional recovery. Although we do not know how truly effective it would be in humans, given it is a common, widely consumed nutritional supplement, it seems that there is little to lose and potentially much to gain by treating acutely injured patients with ALC, perhaps in combination with standard-of-care treatments. Vitamin E – found in a variety of foods. Quercetin – imbues colors to foods. Ginko Biloba – popular herbal remedy. Chinese Skullcap – Traditional Chinese Medicine herb. Buyang Huanwu Decoction – composed of several Chinese herbs or remedies. Ashwagandha – Ayurvedic (India) herbal remedy. Mimosa Pudica – Ayurvedic herbal remedy. Fasting – influences injury-related immune response. Adapted from article appearing in August 2013 Paraplegia News (For subscriptions, call 602-224-0500) or go to www.pn-magazine.com.